The next major frontier in DC fast charging is 350-kW units. Whether it's Continental's AllCharge, future Tesla Superchargers, or Efacac's combo units (to name just a few), EV drivers in the next few years will basically have all the fast charging power they will ever need. 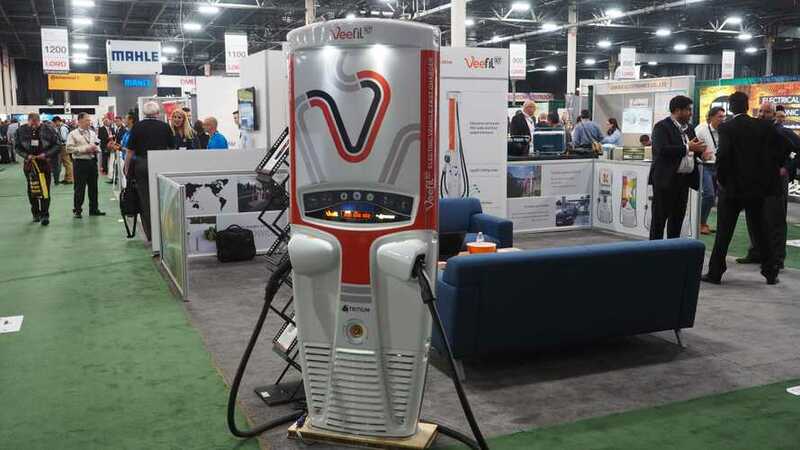 At The Battery Show in Novi, MI this week, the Veefil 50-kW DC Fast Charger from Tritium was on display, and this is basically the same as the 350-kW units that Tritium will start installing in the U.S. in April 2018. Visually, the only real difference will be changes to the air vents to let the 350-kW unit (which will actually be upgradable to 475-kW, if desired) cool off better, said Marcelo Salgado, Tritium's sales manager. Salgado told InsideEVs that the roll out of the 350-kW units will be slower than it took to get us to the current state of affairs with today's DC fast chargers. Tritium has experience in this space, since it's worked to put a lot of chargers in the ground with Chargepoint. This is mostly because the only EV that we currently know of that will take advantage of a 350-kW charger is the Porsche Mission E. Of course, since Porsche is working with BMW, Ford and Daimler on a network of 350-kW stations, the Mission E won't be the only one trying to plug in to station like the Veefil in a few years. We don't know what those other vehicles will look like, but it's safe to say that we can now see how the era of 30-40 minute "fast" charges will come to an end, unless automakers decide to throw absolutely giant battery packs into their EVs. 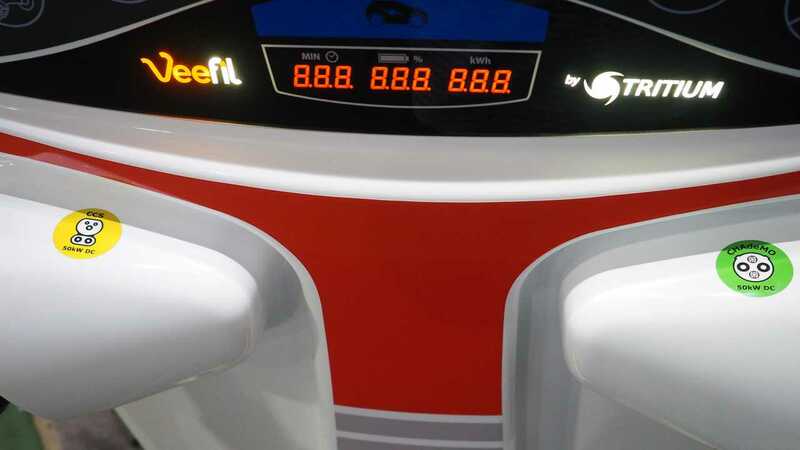 What's cool is that the Veefil is built to have both CCS Combo and CHAdeMO plugs on it. If Tritium continues this style with the new 350-kW units, then no matter what flavor of non-Tesla DC fast charging your EV desires, you'll be all set. End of an era, indeed.